The Gift of Life, Inc. and its consortium of like-minded partners continue efforts to provide hope to Haitian children in need of cardiac interventions. Through our partnership with St. Damien Hospital, we are working to develop the first-ever healthcare facility in Haiti capable of treating children with heart disease. We are the only consortium of non-profit organizations currently in Haiti performing heart surgery either on children or adults. During this mission week, the lives of 13 Haitian children and their families were changed forever. For the first time, they were given hope for a healthy future – a luxury not available to children born with heart disease in Haiti. 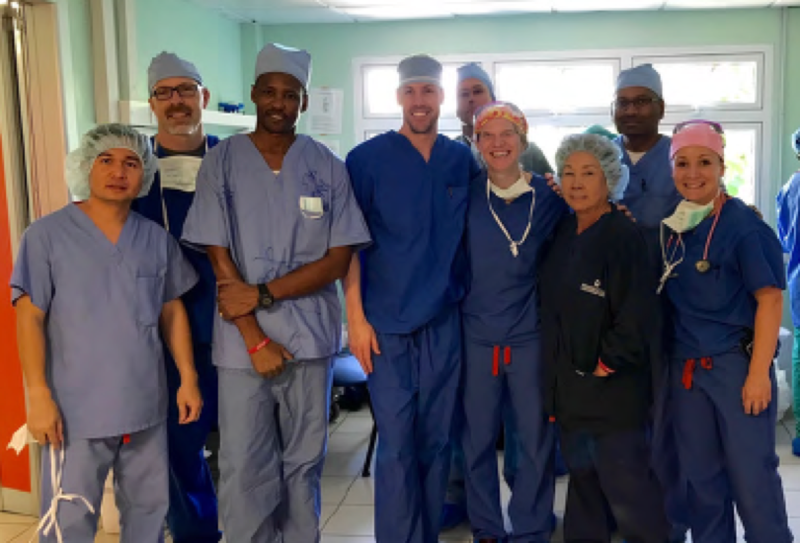 Our expert visiting team, led by Pediatric Cardiac Surgeon Dr. Shaun Setty from Miller Children’s Hospital in Long Beach, California was comprised of healthcare professionals from California, Kansas, North Carolina, New York, Massachusetts, Ohio and Canada. Visiting team members shared knowledge and skills with the local Haitian team as each patient was treated. Dr. Alexandra Noisette has completed her first year of training to become the first-ever Haitian pediatric cardiologist. Dr. Noisette was able to utilize skills she has learned to help with screening and diagnosis of patients who were treated during the mission. She also helped to provide follow-up care for patients treated during previous missions. A special thank you to all global grant partners who helped make this mission possible. Our heartfelt thanks to our partners from Akron Children’s Hospital who, in addition to medical support, work tirelessly to provide logistical support, biomedical support and aftercare support until the last child is discharged. Last but not least, we wish to thank the medical supply companies who support our efforts with product donations which help us reduce costs and heal more hearts. Thank you to Medtronic, Abbott Point of Care, Scanlan Surgical Instruments, Admedus, 3M, Henry Schein and MedShare.